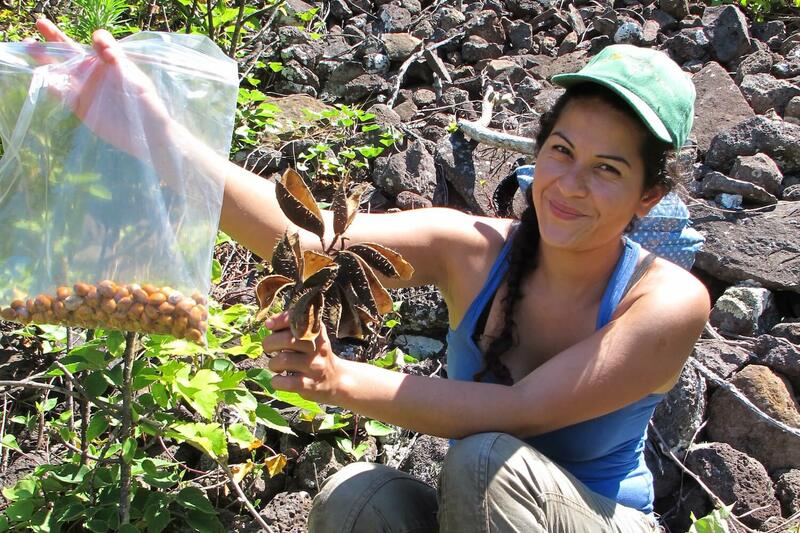 Native plants seeds collection as part of efforts to address invasive plants on Easter Island. Before applying for a CEPF grant, please carefully review the following information. If you haven't already done so, confirm your organization is eligible to apply for a CEPF grant. Before investing in a biodiversity hotspot, CEPF works with many local stakeholders (including nongovernmental organizations, government officials and academics) to create an "ecosystem profile." An ecosystem profile examines the current status of biodiversity in the region and is used to determine CEPF's investment priorities, called strategic directions. Before submitting a letter of inquiry, it's important that you read the ecosystem profile for the biodiversity hotspot where your project will take place, especially the list of "strategic directions," which identify the types of activity that CEPF will fund. Each project must address at least one strategic direction from the ecosystem profile. Ecosystem profiles can be found on the pages for hotspots where CEPF currently works. CEPF's small grants are typically US$20,000 or less (but may be up to US$50,000 in some hotspots). These grants are managed by the CEPF regional implementation team (RIT) in the biodiversity hotspot. Small-grant applicants can submit their project idea in English or one of the hotspot's local languages specified in the call. Unlike a large-grant application, you will not need to complete a longer application known as the project proposal. Several months after the call for proposals has closed, you will receive notification from the RIT letting you know if your project will be funded. CEPF's large grants range in size. The average amount is around US$150,000. Grants of more than US$500,000 are awarded only in exceptional cases. Large grants are managed by the CEPF main office in Virginia, USA, with assistance from the hotspot's RIT. Letters of inquiry for large grants are submitted through ConservationGrants. They may be submitted in English. Other languages may also be accepted; the call for proposals will let you know. If your letter of inquiry is recommended to proceed to the next stage, you will be notified and invited to submit a full project proposal, which will also be completed in ConservationGrants. Calls for proposals are open several times for each hotspot where CEPF is active. However, you must wait for an open call before submitting a project idea. Calls for proposals are typically open for six to eight weeks. After the call has closed, large grant applicants can expect to hear whether or not they are invited to prepare a full proposal, and small grant applicants will learn if they received the grant funding, within three to six months. Ceremony before the release of 150 Endangered Asian giant softshell turtle (Pelochelys cantorii) hatchlings into the Mekong River in Cambodia.